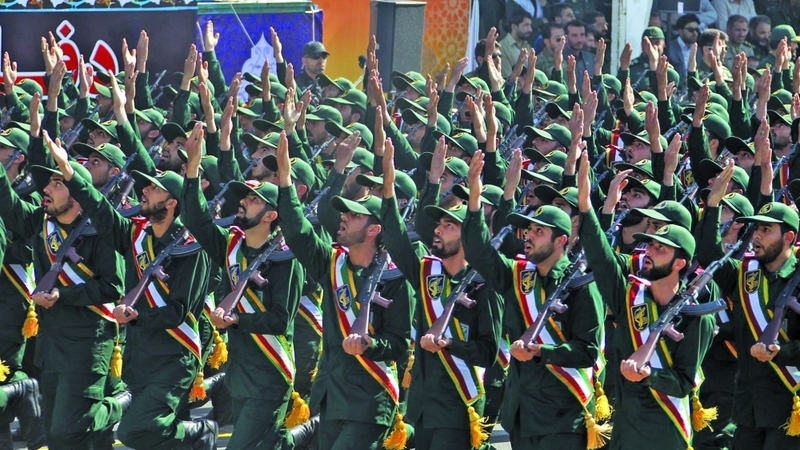 The United States on Monday designated Iran's elite military force, the Islamic Revolutionary Guard Corps, a terrorist organization, ramping up already far-reaching attempts to undermine the Iranian government. It is the first time the United States has designated part of a foreign government a terrorist organization, rather than guerrilla groups or other more informal entities. The move comes on top of Trump's decision to pull the United States out of an international deal with Iran that was meant to lift crippling economic sanctions in return for the government allowing its nuclear technology to be restricted and kept under close supervision. The terrorist designation for the Revolutionary Guards is meant to strike at the heart of the Iranian government's power structure. Abroad, the Guards' prized Quds Force, named for the Arabic word for Jerusalem, supports Iranian allies, including Syrian President Bashar al-Assad and Lebanon's Hezbollah. A statement signed by a majority of lawmakers in support of the bill said any action against Iran's national security and its armed forces was "crossing a red line" and the US administration would "regret" its decision. "The IRGC is interwoven into the Iranian economy.… The safest course is to stop doing business with the IRGC. If you do business with the IRGC you run the risk of bankrolling terrorism," said the official, speaking on condition of anonymity. The dramatic escalation of Washington's attempt to undermine Iran's leaders comes on the eve of Israeli elections where close Trump ally Netanyahu is seeking to extend his 13 years in office. "Thank you, my dear friend, US President Donald Trump, for having decided to declare Iran's Revolutionary Guards a terrorist organization," Netanyahu said in a statement issued minutes after the White House announcement. "Thank you for responding to another important request of mine, which serves the interests of our countries and countries of the region."